Nate’s beard is great! Nate Maingard has been a longtime friend of all about beards | beards.org . He is a musician from South Africa and has a really great beard. 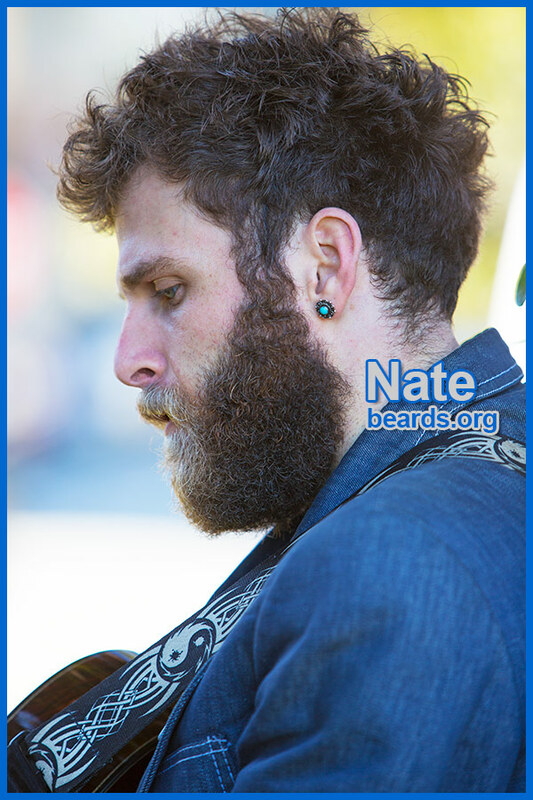 Although his great beard has been known to disappear from time to time, Nate remains truly a dedicated beard enthusiast. 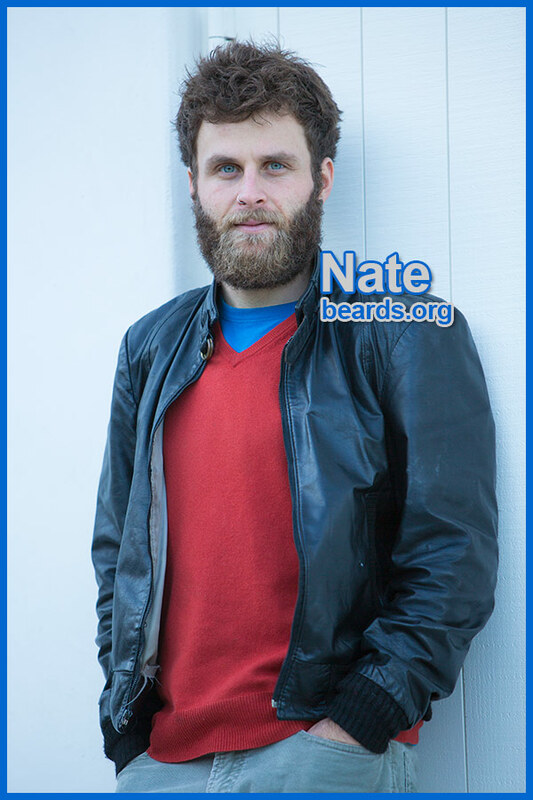 Scroll down to read Nate’s beard story. 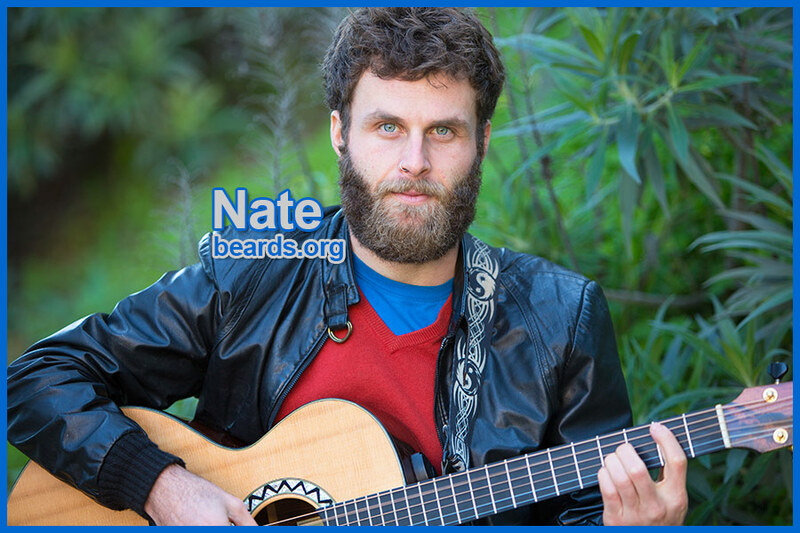 In addition, Nate continues his beard story and shares a number of helpful beard tips in his beards.org video series. Nate’s video playlist is included near the bottom of this page. Also be sure to visit Nate’s photo album. I think they’re totally fantastic, a beautiful expression of masculinity and individuality. Your father was a veteran beard grower. How did this affect you? I’m sure having a regularly bearded dad impacted my positive view on facial hair in general. I’ve always loved how bearded men look. Thanks, Papa! What is your earliest memory of the existence of beards? My dad having one when I was a kid. When I was in my early twenties, I think. What led you to the decision to grow your first beard? Well, every single time I see a man with a beard when I don’t have one, I get beard envy. So I figured it was time to get my own beard going. Well, I’ve got a very full beard. So it looked great. But I didn’t keep it for long enough to get past the initial phase. How did you like the experience of being bearded for the first time? I like it for myself, but was put off my some negative reactions from certain people. What was it like seeing yourself with a beard? I shaved it off as I was slightly insecure that it would make me a less attractive man. Pretty soon after, I just don’t like shaving. Hehe. For several years, you would grow a beard only to shave it off promptly. Why was that? As I said above, negative responses from peers and insecurity about it making me less attractive. Also sometimes I love diving. How did you overcome your resistance to keeping your beard? Just realized that going through life with beard envy sucked and that I should give it a good go and see how it turned out. Also, at the time I was traveling in Northern California and my amazing friend Amie gave me massive moral support, as she loves beards as much as I do. How has your attitude about being bearded changed once you’d determined to keep the beard for a longer term? Not much. Always loved them, always will. Also care less about others’ opinions now and grow it for my own joy. How does it feel, being bearded for this long? Great, except I keep forgetting that it’s something people are not used to. It’s fun. I’m definitely enjoying it. How certain is it that you’ll keep your beard now? Would you now consider yourself to be a dedicated, permanent beard grower? I don’t know about that. I do enjoy having it at this time. But in the future I may want to go barefaced again for a time. I think I’ll be an on and off kind of beard grower, as I love changing my appearance a lot :). That being said, I’ve only been clean shaven once in the last two years and I hated it. Couldn’t WAIT to grow my beard back again! You have grown the full beard. How did you choose the full beard? Because I can and it is just the loveliest way to celebrate being bearded. Go full or go home. Hehe. 😉 Seriously though, I just love the fullness and grizzly look. Always have. Do you shape and trim the beard yourself? If so, how did you learn to do it so well? I went to a few barbers initially to help me give it the shape and now I use clippers. I set my initial neck-line using the beards.org guidelines. Thanks for that! Now I just go slow when I’m trimming, and once every few months go to a good barber for a little extra shaping. At the moment I’m going full grizzly, though. So I just trim the cheek and neck line and let the rest go wild. Loving it! How does being a musician relate to being bearded? There seem to be a number of bearded musicians, it’s true. I guess it’s in some ways a stamp of my individuality, my statement that I am a proudly hirsute member of the world. Haha. I don’t know. It just feels right for right now. Some of my favorite musicians sport incredible facial fur, like Ray LaMontagne, Iron and Wine, etc. I’ve definitely had to become accustomed to being less attractive to a certain type of person, while becoming MUCH more attractive to others. Beard lovers can be somewhat fanatical about their love of the beard. Haha. What do you think of your own beard? I am totally happy with it. It’s got lots of different colors in it. It’s super thick and full. And it gets wonderfully soft as it lengthens. Do you ever compare your beard to other beards that you see? What kinds of reactions do you get to your beard? A lot of women want to touch it (and men, too, actually). Also, there’s a lot more admiration from other men than I expected. It’s something to talk about, I guess. Hehe. How do you feel about any compliments you get on your beard? Sometimes I miss my jawline. And it’s impossible to go diving ’cause the goggles won’t seal. What have you learned from your beard-growing experiences? Do what makes you happy. The rest will work itself out. You’ve now lived in multiple countries with your beard. How has being bearded differed from country to country? Some places it’s more unusual and so it gets more stares and comments. Some places it just fits right in. Why do you think so many men do not grow their beards? Well, some have really thin growth, which makes it hard for them. I think beards are really back in fashion now. So I’m seeing more about than I once did. Still, the social stigma attached makes it hard for some men. Also, I guess some dudes just don’t like having beards. Do you think that those who do grow beards have any special traits or personality characteristics? Haha, no, I’ve met all sorts of bearded folk. The one binding factor is a mutual love of facial fuzz. Along those lines, do you think that beard growers might be more creative or independent? Good point, in terms of independence. Although now, men wanting to fit into the hipster crowd aren’t being independent by growing a beard. They’re joining another herd. Would you recommend to other guys that they grow full beards? Definitely, at least just to really know what it feels like. Would you consider yourself to be beard advocate or goodwill ambassador for beards? You have been a long-time friend of “all about beards” | beards.org. What brought you to the site? When I was first wanting to grow a full beard I was looking for advice on neck line trimming. Yay for beards.org, which helped a lot! How would you describe your beards.org photo shoot experience? Super fun day in the sun, sharing the love of beard! I think it’s a great way for men (and women) around the world to share their love of beard. Honored and excited. Thanks, Steven! The video series concludes with Nate performing one of his songs. Click on the photo below to go to Nate’s photo album.